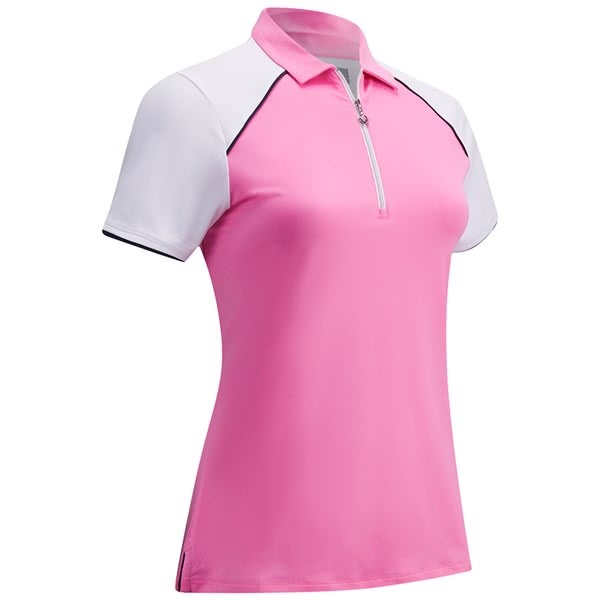 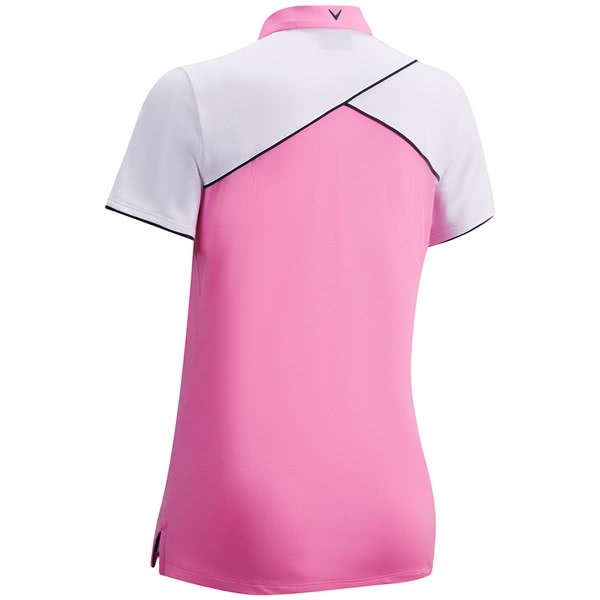 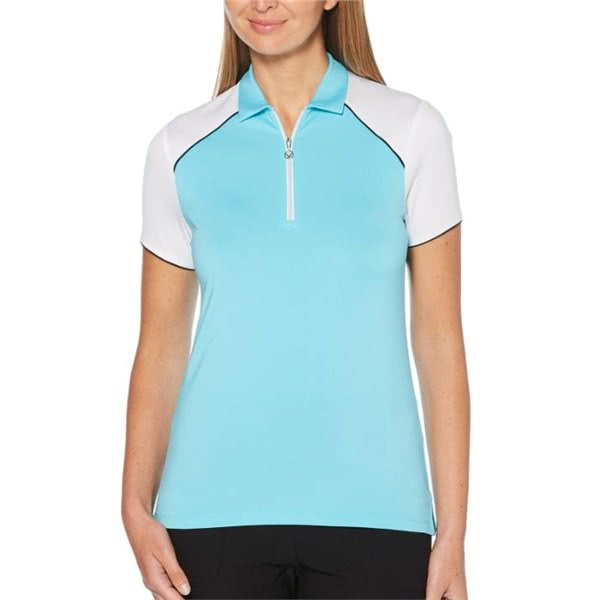 Callaway have created their Ladies Quarter Zip Colourblock Polo Shirt to provide incredible performance, comfort and protection in the summer sun. 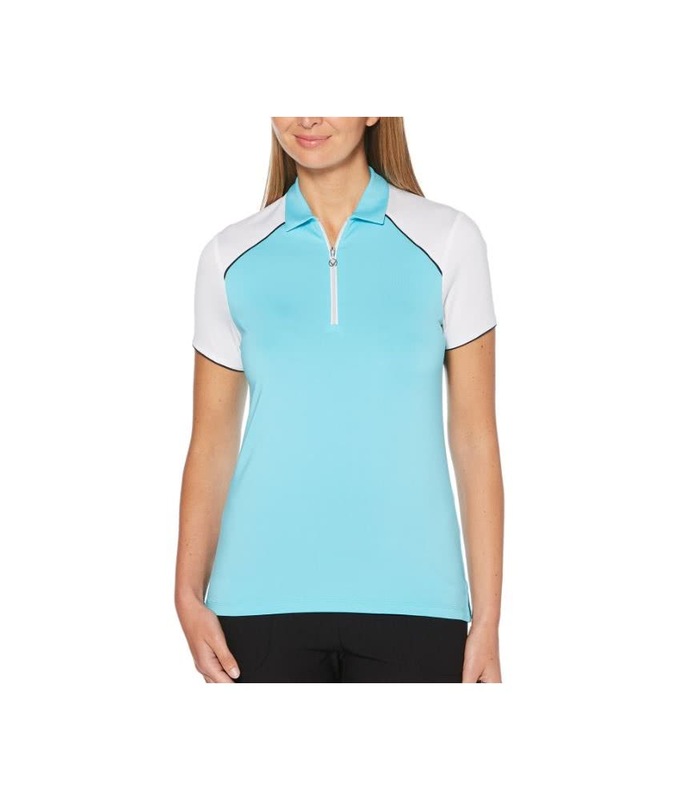 A lightweight construction that features a long ¼ zip, and a fabric that features the excellent Callaway Opti-Dri and UV Block, provides excellent moisture-wicking and stretch properties to ensure total comfort. 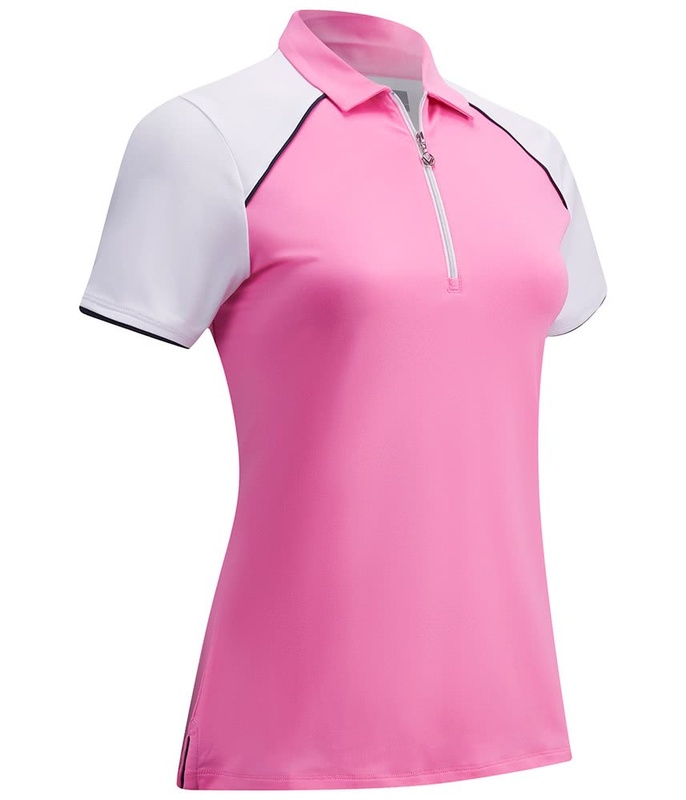 contrast tipping on sleeve and across the shoulders. 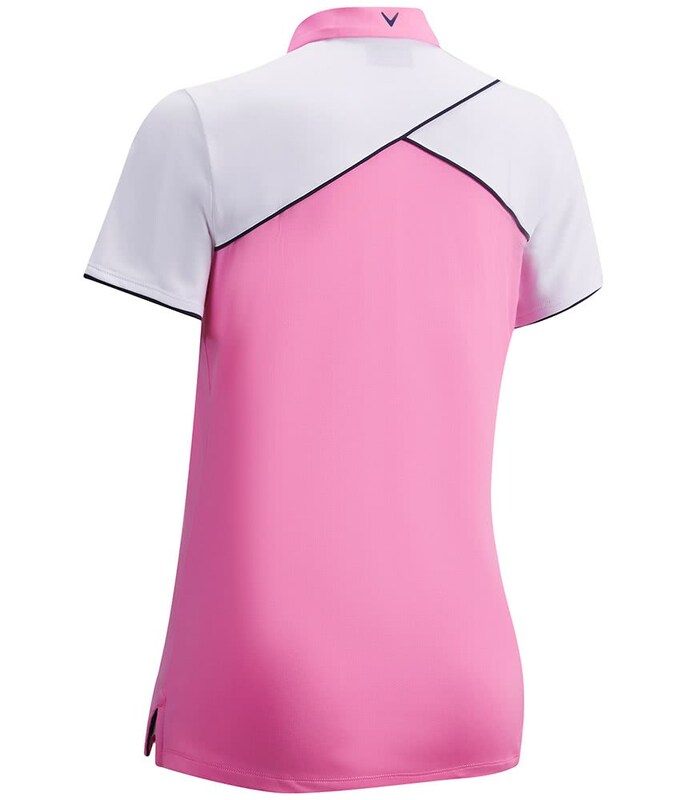 Navy TPU Chevron on the centre back collar.